This is a rich fruit cake covered in marzipan then fondant icing. 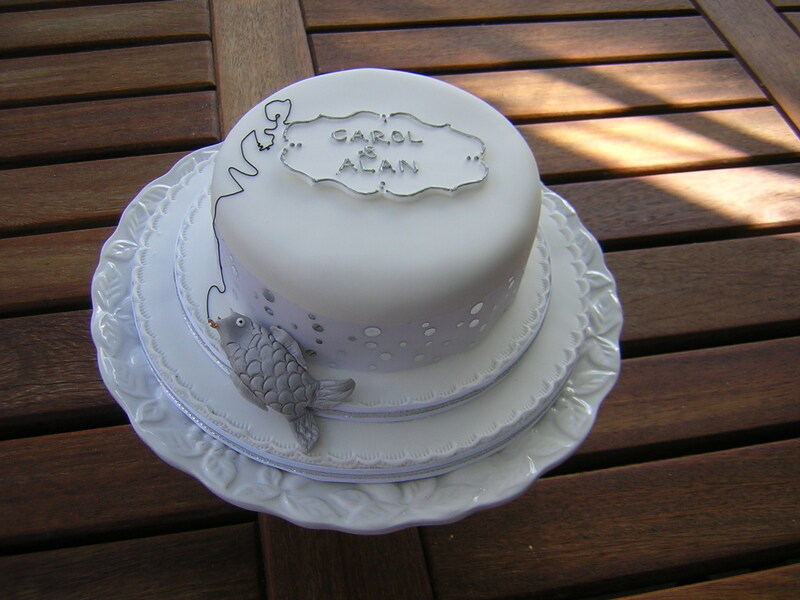 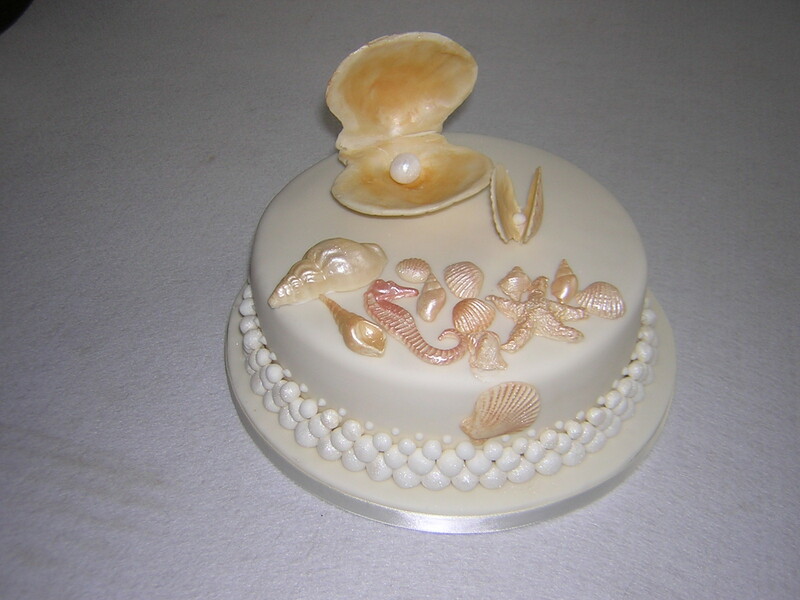 This cake was made with a reference to Alans love of fishing. 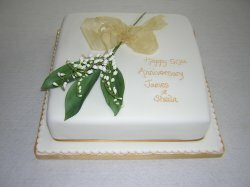 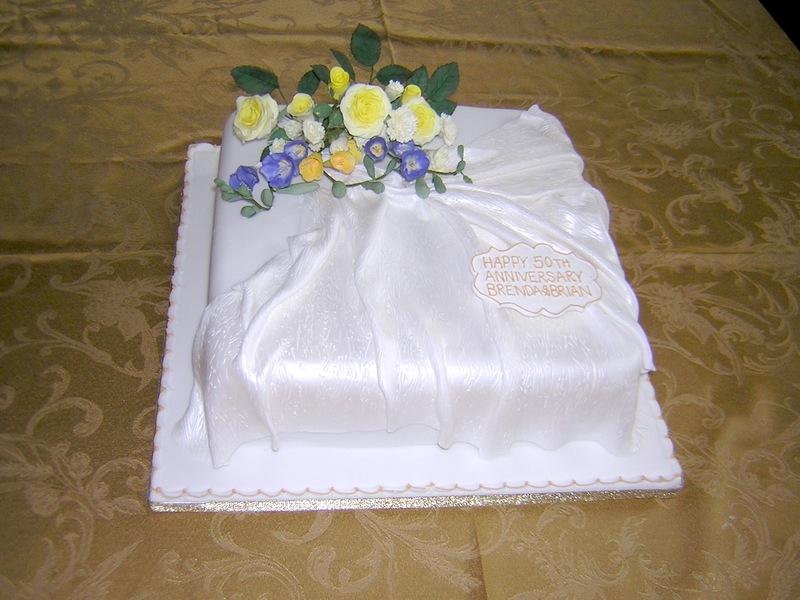 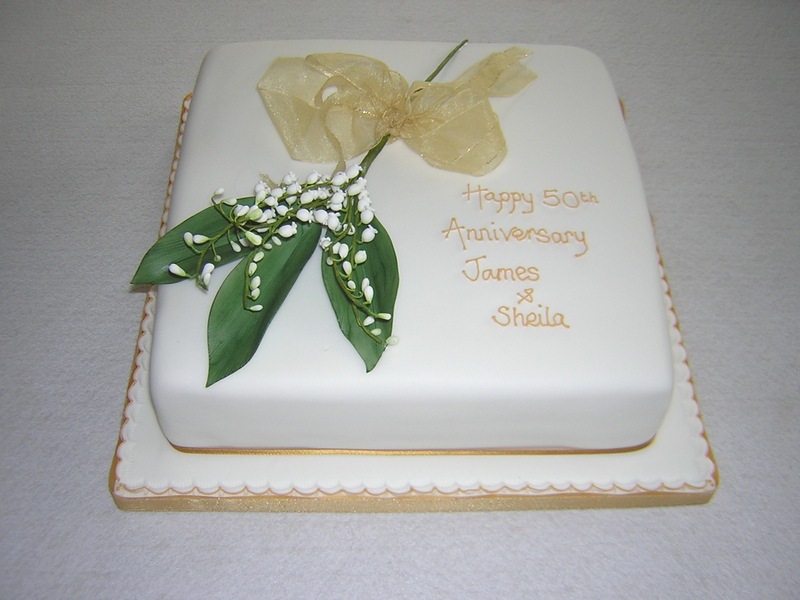 I handmade the flowers for this golden wedding anniversary cake. They were a favourite flower of the couple. These silver roses are made from sugar and topped a silver wedding anniversary cake. 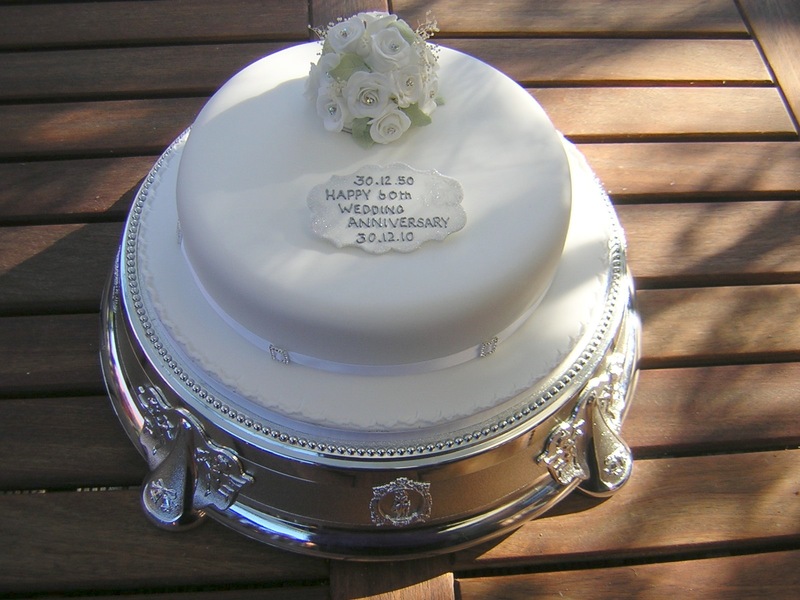 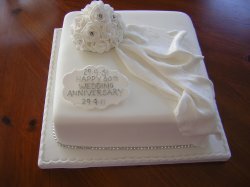 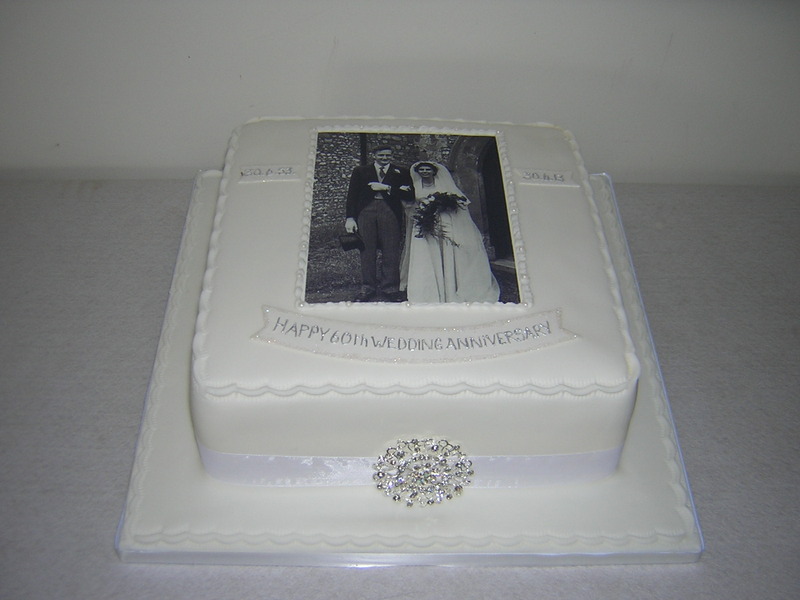 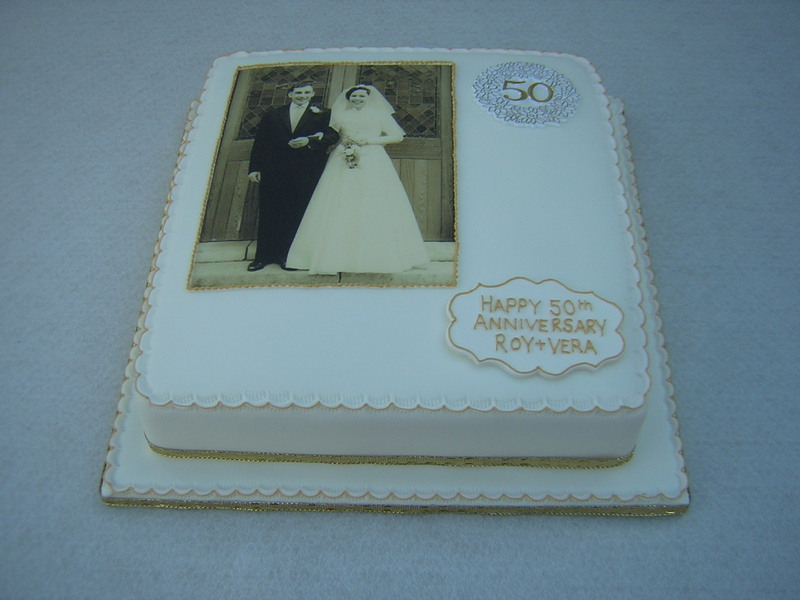 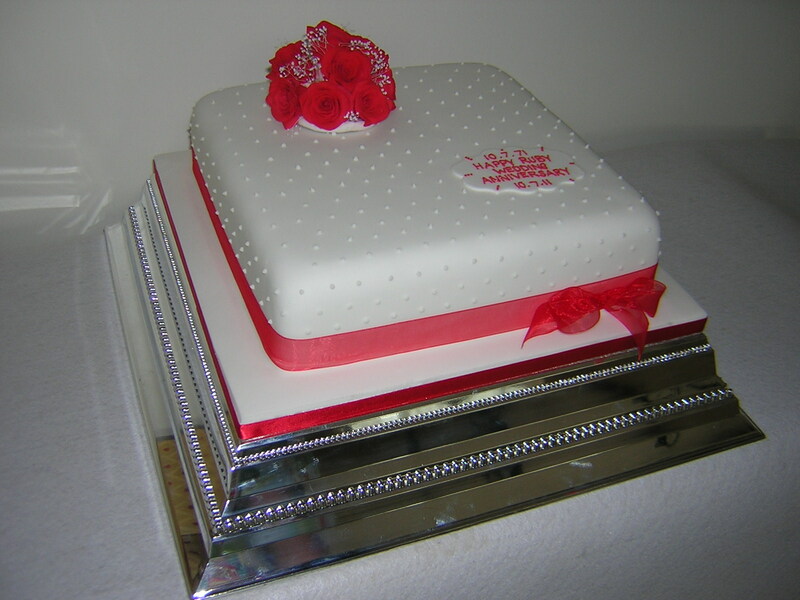 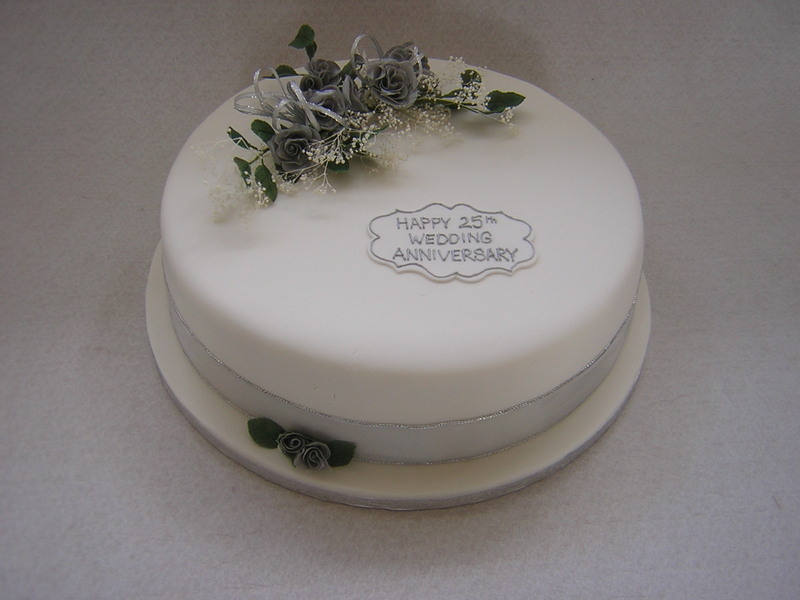 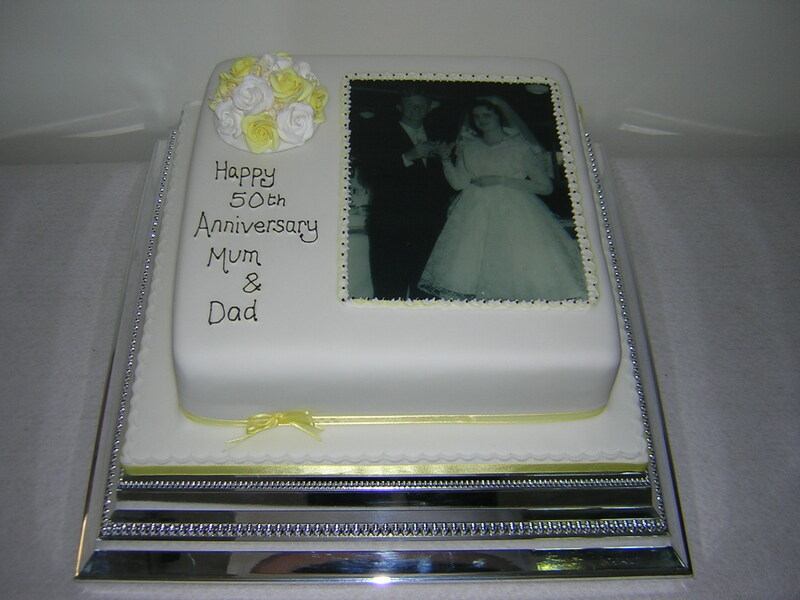 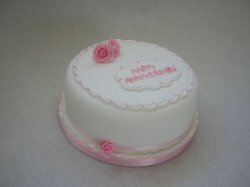 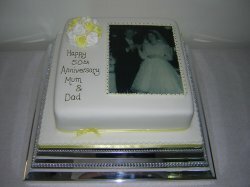 The roses on this diamond wedding anniversary cake have small diamontes in their centres. 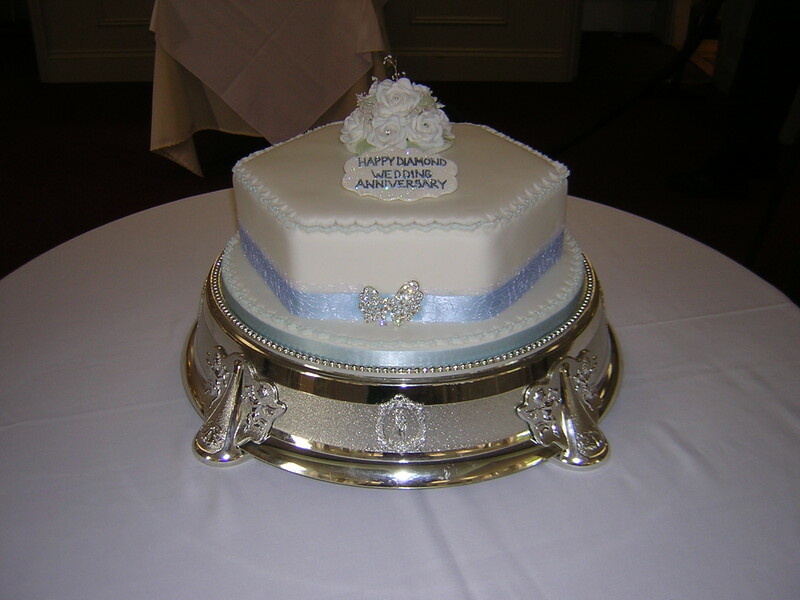 The decoration although made from sugar were not edible due to the diamontes, However they will keep indefinitely as a keepsake. 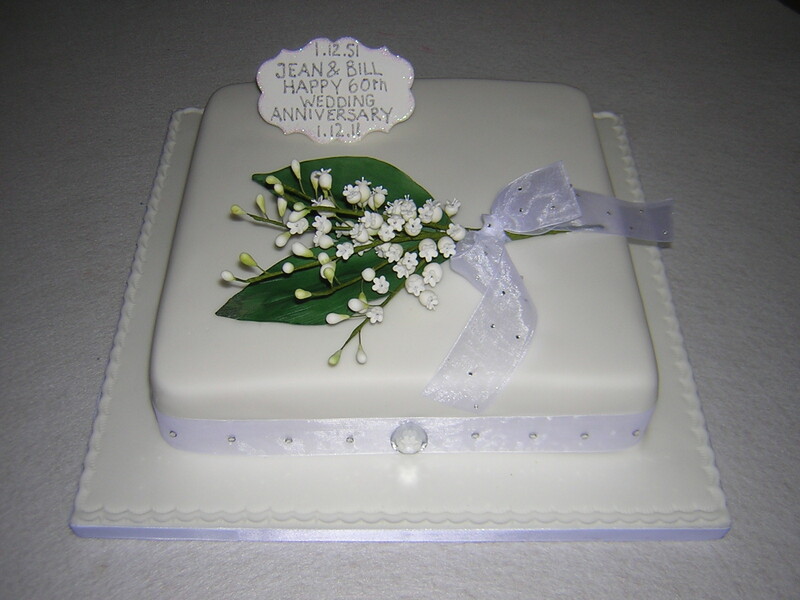 The flowers on this cake are handmade with sugar. Also the 'silk' is sugar and completely edible. 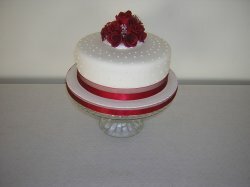 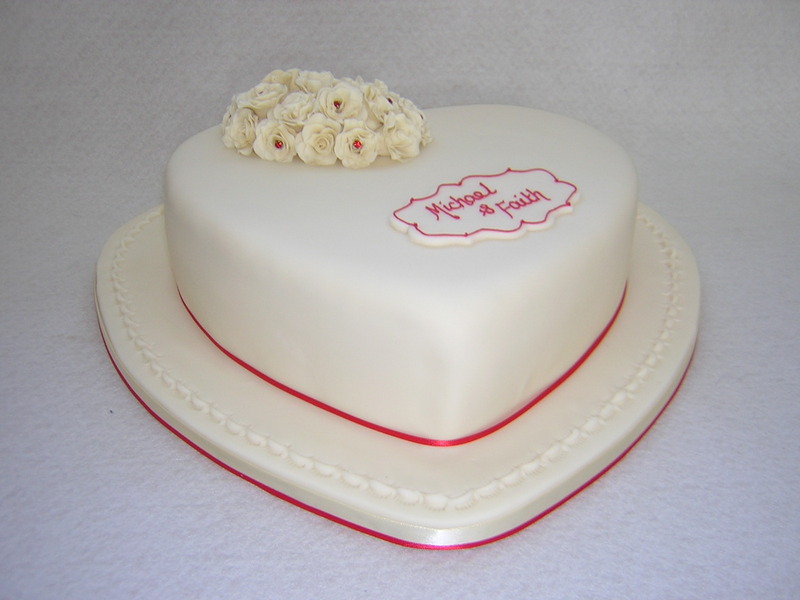 The colours on this cake are such a stunning choice for a ruby wedding anniversary. 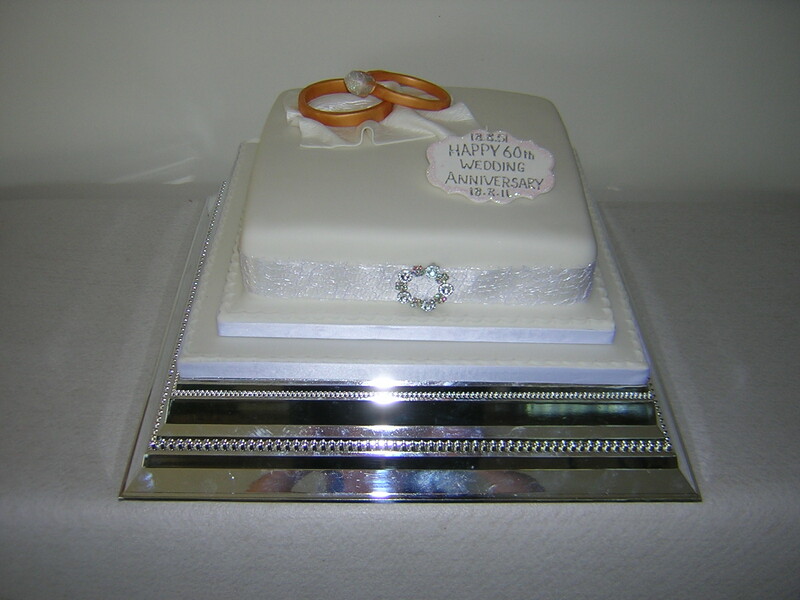 The huge rings on this cake were made from sugar and were a fun handmade decoration. Photographs made in icing, printed from original pictures are very effective and are becoming more and more popular. 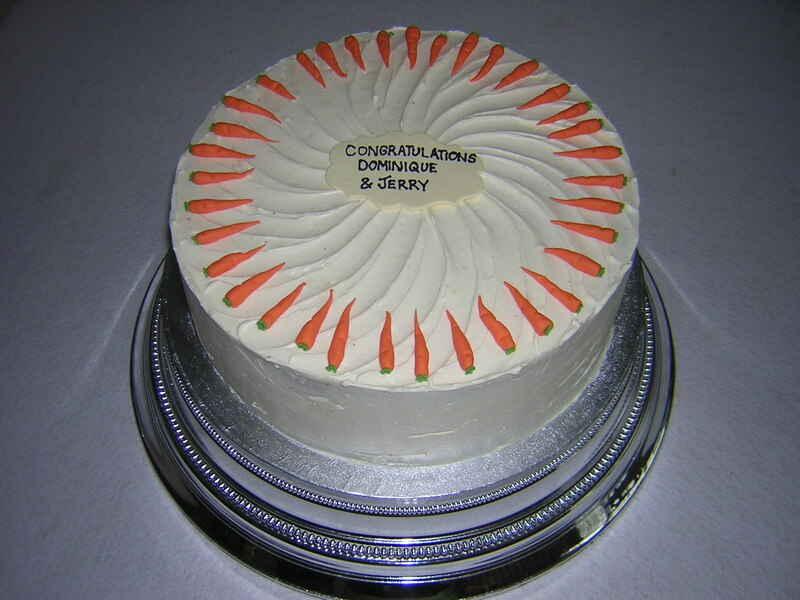 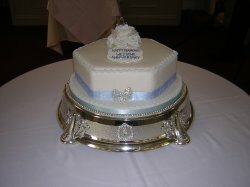 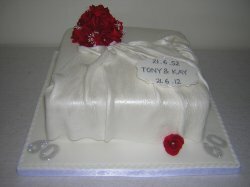 This was a lovely cake, being all decorated in white was really nice.